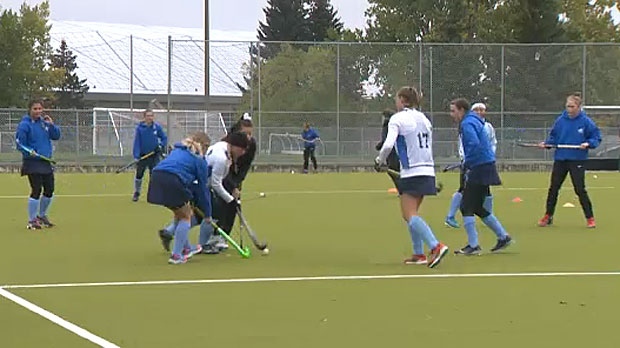 The provincial government has awarded the Alberta Field Hockey Association a significant amount of money that will be used to upgrade the facilities at the University of Calgary campus. The $300,000 grant, from Alberta’s Community Facility Enhancement Program, will help pay for a joint initiative from the AFHA and the UofC to upgrade Hawkings Field. The upgrades, that cost $1M, were completed in August and will extend the life of the facility by about 15 years. Ricardo Miranda, Alberta’s Minister of Culture and Tourism, says that the investment will improve the sport for thousands of athletes and increase access to recreation for all Albertans. The AFHA says that the new facility is an amazing gift from the province. “[It] allows our sport to continue to flourish and expand in Alberta,” said Burgundy Biletski, executive director of the AFHA. Lisa Walpole, president of the Calgary Ladies' Field Hockey Association says a lot of work has gone into improving the state of Hawkings Field. "The turf was ripped up at the end of last season and put down. The total cost was about $1.2M but we did get it for a slightly lesser rate which was good for our finances." She says the surface is very specific for field hockey and it's good for many other teams. "You're not going to see this at McMahon Stadium, you're not going to see this at Ernest Manning Field. You're not going to see little rubber bits that you see when football players get tackled. We don't have those." Walpole says the previous turf was badly in need of a repair, especially due to the harsh Calgary weather. "The turf would be ripped and you'd have to re-sew sections and as soon as you get a bit of a bump in the field, then the play isn't as good as it should be." The upgrades make the turf the best in Western Canada and has met international standards. 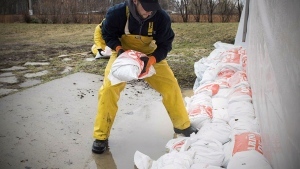 The only thing stopping Calgary from hosting a tournament now would be another field. Hawkings Field is the primary facility for the University of Calgary Dinos women’s field hockey team, 1,300 AFHA members and more than 700 athletes at the high school level. With the upgrades to Hawkings Field, Calgary now has a world-class field hockey pitch that is the best in Western Canada.